PHAI Senior Staff Attorney Cara Wilking’s article, State Law Approaches to Curtail Digital Food Marketing Tactics Targeting Young Children, has been published in the January/February, 2014 issue of the Food and Drug Law Institute’s Update Magazine. In the article, Wilking describes why digital marketing, which is inherently deceptive to younger children. She explains the role of packaging, “advergames,” and digital sweepstakes in digital marketing. Wilking concludes that these practices may trigger specific consumer protection law provisions and case law precedent around unfair and deceptive trade practices and looks to state attorney generals to take steps to stop these practices. Download State Law Approaches to Curtail Digital Food Marketing Tactics Targeting Young Children (pdf). 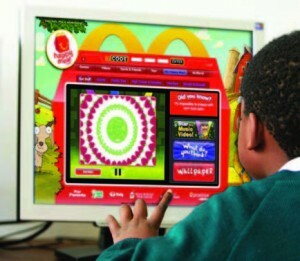 Food companies used viral digital marketing tactics, such as “tell-a-friend” web campaigns, to induce children to share e-mail addresses of their friends and spread brand advertising of unhealthy foods among their peers. Even very young children are targeted by these campaigns, which may be considered unfair and deceptive and in violation of state consumer protection laws. PHAI has prepared a legal issue brief on this topic for state attorneys general as well as stakeholders in children’s health and privacy. The brief explains the tactics that are used and suggests ways that they can be addressed, particularly under state law. This work was supported by the Robert Wood Johnson Foundation’s Healthy Eating Research Program (#69293). It has been nearly 15 years since Congress enacted the Children’s Online Privacy Protection Act (COPPA). In that time, marketing in a digital world has become ubiquitous and, often, indistinguishable from other content. An essential part of this transformation of marketing involves providing a a surprisingly wide variety of information about the users to advertisers and content providers, usually without their knowledge. When COPPA was created, data mining and other sophisticated data collection techniques did not exist. Nor did the variety of platforms we see today, including mobile “geo-aware” computing platforms that can track one’s location through global positioning satellite as well as Wi-Fi technology. Currently the Federal Trade Commission is proposing to update the rules of children’s online privacy protection to better accomplish what COPPA was designed to do: ensure that children’s privacy is not compromised absent parental consent. PHAI’s senior staff attorney, Cara Wilking, appeared on KPCC radio’s Airtalk on October 1 to discuss the updating of COPPA by the FTC. Listen to the podcast here. PHAI signed on to comments on the FTC’s proposed new rules for administering COPPA on September 25th. They can be reviewed here.